Teenage bullying is a real problem – in case it doesn’t cause any physical harm, the emotional distress is crushing. When even ‘normal’ children find it immensely difficult to cope with bullying, imagine how tough it must have been for 16-year old Mithun. Mithun Chauhan hails from Nardihganj village in the Nawada district of Bihar. 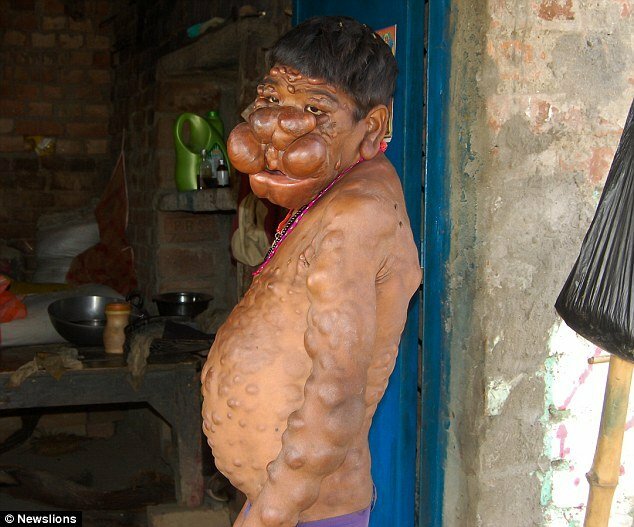 The villagers call him a ‘living ghost’ as Mithun suffers from a rare physical abnormality – his face and body is covered with tumors. As Mithun’s family tried really hard to protect him from the daily outpour of judgements, an upstart news agency from India, Newslions, decided to help the teenager have a shot at normal life. 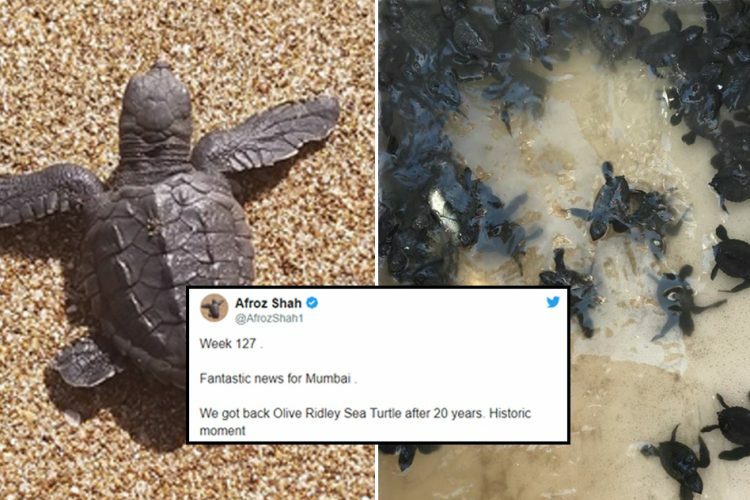 The 16-year-old went through a transformation over a period of six months after two phases of corrective operations that cost Rs 600,000. 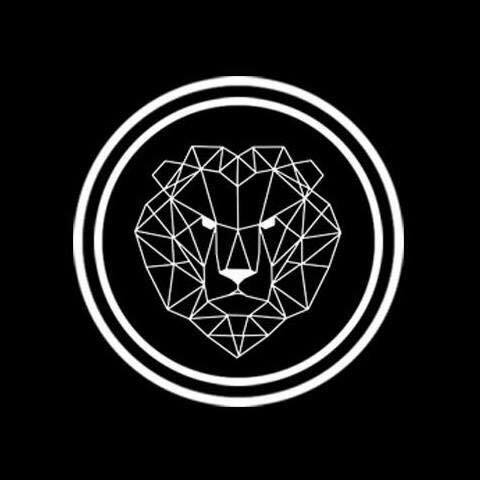 The entire treatment was funded by a crowdfunding campaign started by Newslions and supported by The Logical Indian. Last year, we wrote an article about Mithun and urged our readers to reach out to the family and offer any help possible. 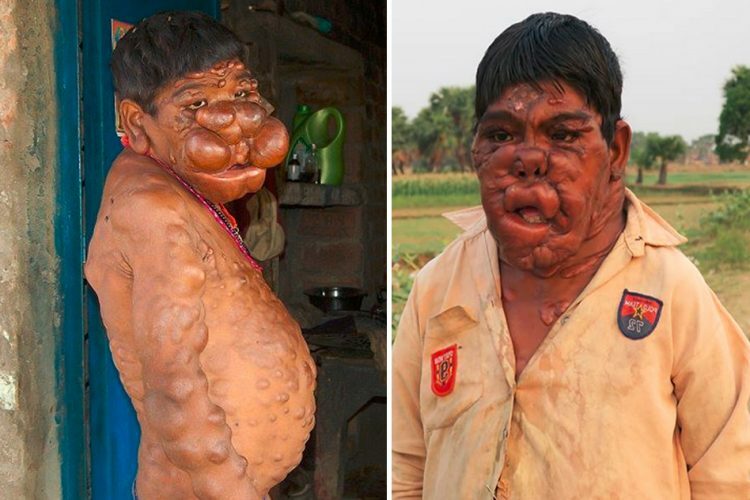 Due to the response of people from around the world, Mithun received medical help. 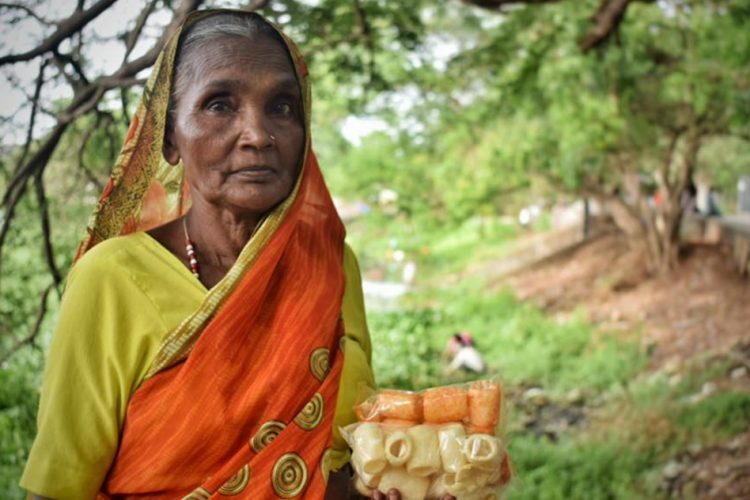 After a lot of persuasion by the village elders, Devi finally agreed to hear out the plan. 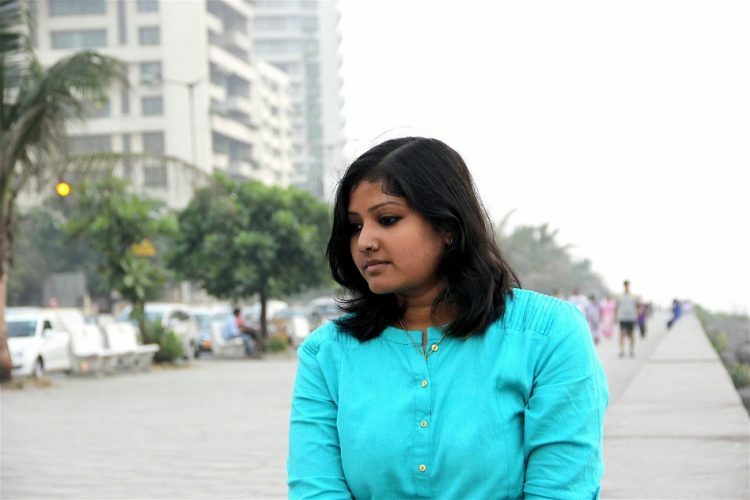 When she was told that people from around the world have donated for Mithun’s treatment and that they won’t have to pay a single penny for the entire process, she didn’t believe it to be true. Nevertheless, she decided to cooperate. The next day, Mithun was taken to Patna, around 120 km from his village, for his biopsy test to cross-check if his tumors were malignant or not. The report suggested that the tumors were non-malignant or non-cancerous. 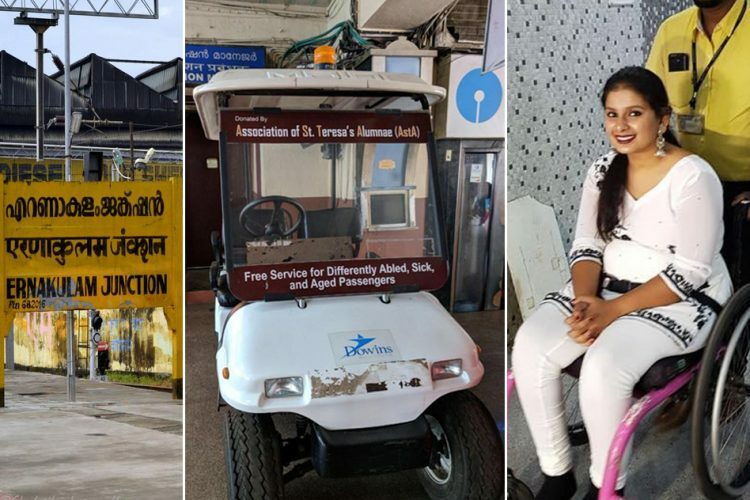 On February 3, Mithun and his father Ramji Chauhan, a farmer, set out on a 24-hour train journey that would take them to Life Care Hospital, Indore. At the hospital, everything was organized beforehand. During pre-operative tests, doctors came across another problem that would make the entire process a little dicey – the boy had a non-alignment tumor inside his skull, partially touching the brain. However, Dr Ashwini Dash, who had first diagnosed his condition, decided to go ahead with the operation as planned after a deliberation with the team of doctors at the hospital. “It was a complex operation. The boy had tumors all over his face. There was not a single inch of skin on his face that didn’t have a tumor on it. But we managed to do the gross work of removing the big tumors from his cheeks and nose. We also recreated his nose and chin during the operation. Overall it was a successful operation,” said Dr Dash. The operation lasted for three hours. After 10 days of stay at the hospital, Mithun and his father took a train back to Patna, a distance of 1400 km. Back in the village, people were surprised to see his transformation. “I cannot believe this. This is for the first time I am seeing my son’s face. 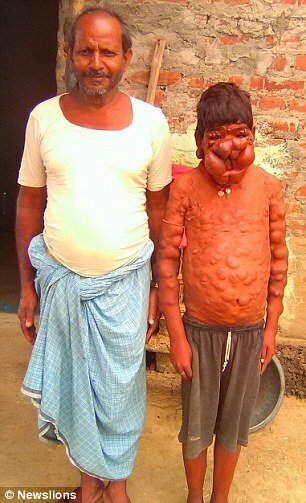 Those giant tumors are gone, see you have a nose now,” said his mother Bachia Devi as she touched the contours of Mithun’s face. 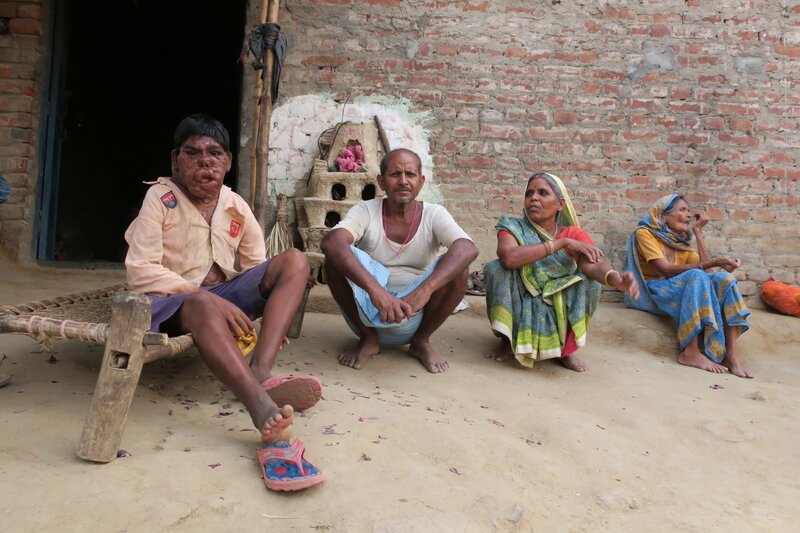 But the post-operative care became a challenge for Mithun’s parents as there were no trained nurses in Nardihganj. “We were really scared as the wound had got worsened after the 24 hours journey during which we couldn’t change his dressing. Back in the village, the local dresser made it worse. But eventually, we managed to salvage the situation. My main worry was that the wounds must heal before the date of the second operation,” said Ramji Chauhan. Once the wounds healed, Mithun and his father left for Indore again. Since the operation dates were locked and they had to reach on time, Mithun and his father were flown to Indore this time. 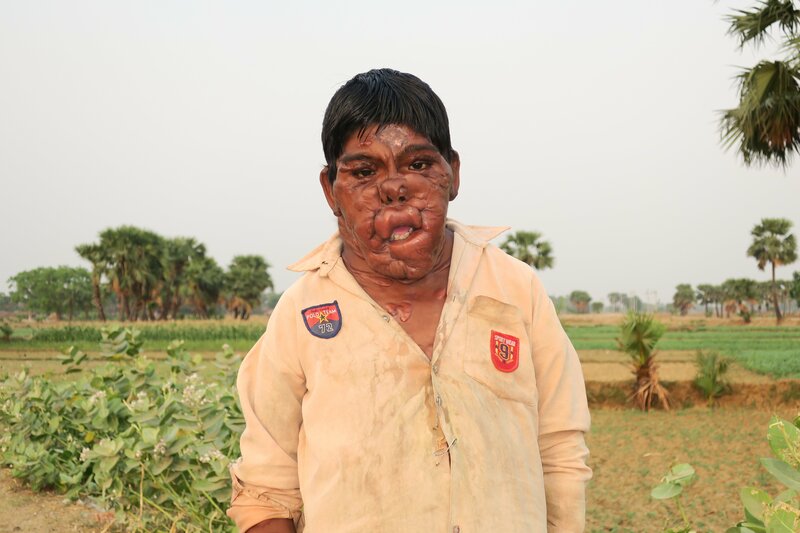 On March 20, Mithun was operated for the second time in an hour-long surgery. “The second round of operation was meant to take out small tumors that we could remove last time and do corrective surgeries wherever possible. Earlier, the boy couldn’t see properly as the tumors covered his eyes. Now, he is able to see like a normal person after the tumors have been removed. We were expecting 70% recovery in this case. But every inch of skin on his face has a tumor. As compared to a normal person, his skin is much thicker. But from the day when he first came here, to the current day, there has been a drastic transformation in Mithun’s appearance,” said the doctor. Back in the village, Mithun has become the talk of the town. People who used to run away at the very sight of him, are walking up to him to ask about his health. 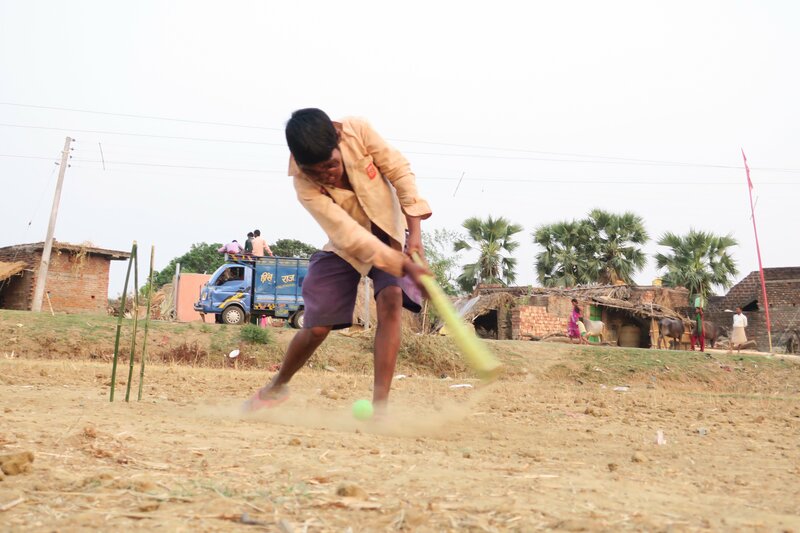 His friends who wouldn’t play with him as his looks scared away other kids, have started inviting him to play in village-level cricket matches. 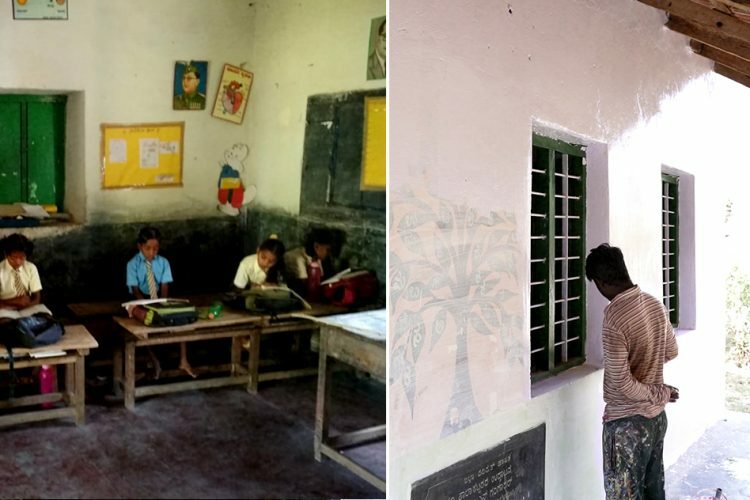 Last year in April, Mithun was asked not to come to school after parents of other children threatened to pull out their children if ‘The Ghost Boy’ continued to attend classes. But Mithun’s parents took him to the school last week, requesting teachers to take him back. “The teacher was really happy to see Mithun’s recovery and has asked us to send him to school after the summer vacations,” said an elated Ramji. vacations. My father has placed an order for my new uniform, a school bag and a pair of shoes. 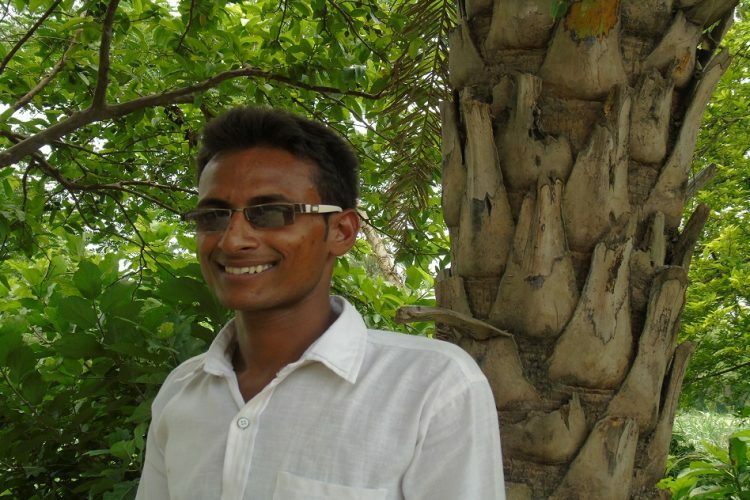 I want to study well and do something good in life,” says Mithun. The Logical Indian appreciates Newslions’ efforts to help Mithun with his treatment. We also salute Mithun and his family for showing great courage through a difficult time. 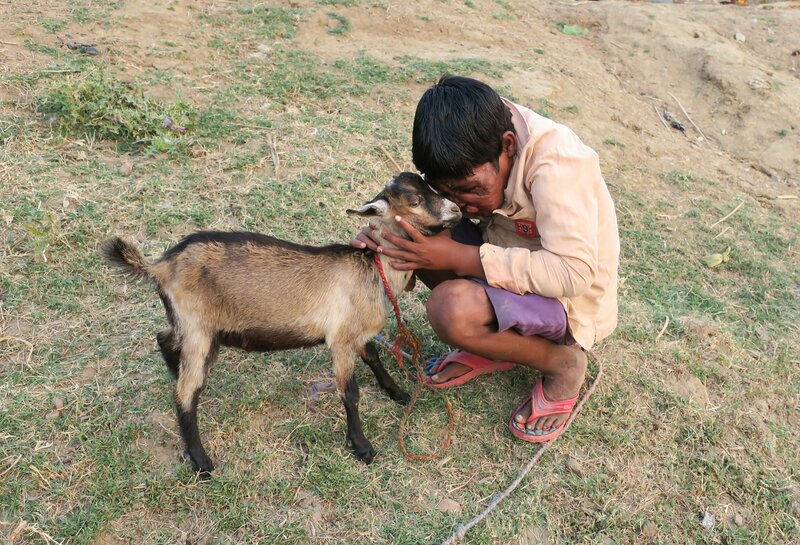 Mithun can now go out to play with his friends and roam around freely in the village without fearing nasty comments about his appearance – we have our community members and everyone who contributed to the funding, to thank for this. We hope more such initiatives are taken where the public unties for a beautiful cause.